This price includes two sessions: your initial appointment and a free 4-8 week touch up appointment. Touch ups must be scheduled in advance to ensure you get a spot within 8 weeks of your first appointment in order for it to be free. Should you be unable to attend your free touch up within 8 weeks, a charge will be incurred. $100 deposit required to book. Touch ups within 6 months of the last appointment. Touch ups within 12 months of the last appointment. Full price after 12 months. 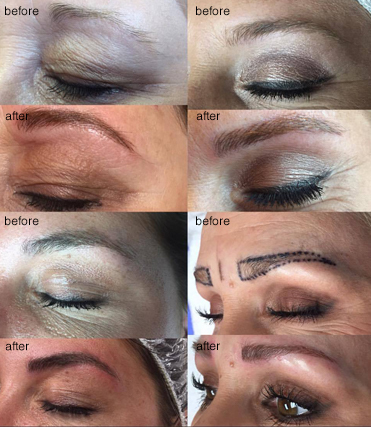 Touch up rates do not apply to microblading received by an outside provider. Full rate applies. All clients are required to read the PreCare and PostCare instructions before any microblading procedure. To expedite your appointment, please download and complete the "Microblading Disclosure and Release Agreement" and bring to your scheduled appointment.